We are constantly breaking down protein and rebuilding it into new proteins. By doing this, we maintain what is called a positive nitrogen balance. Nitrogen is the primary chemical associated with amino acids (nitrogen = amino group). When we are in a positive overall nitrogen balance, we have an abundance of aminos available because we are losing less than we are eating. If we are in a negative balance, we are losing more nitrogen than what we are eating, indicating that we aren't eating enough protein for our needs. What exactly are our protein needs? Does exercise level, injury, sickness, or muscle mass affect that number? The answer is a resounding YES! All of these factors can greatly impact the amount of protein someone needs to consume in the day. Each individual has their own specific protein needs based on their size, activity, goals, and medical history. Knowing and meeting your needs can be the difference between building muscle and reaching your goals... or being stuck at a plateau. The average person does not need any more than 25 grams of protein at a time. Eating more than that in one meal or snack hasn't been shown to be beneficial for increasing muscle synthesis or growth. That being said, there are no expressly harmful side effects from over-consuming protein besides that they could replace more beneficial foods or come with a higher fat content. Yes! 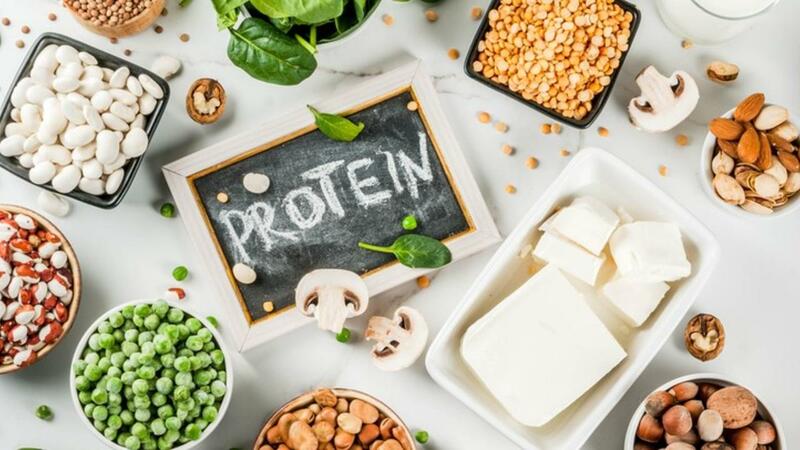 Although plant proteins are considered to have a lower biological value (or percentage that shows up in tissues after eating), you can still get all essential amino acids from plant protein. In order to do so, make sure you are pairing plant proteins: rice & beans, tofu & quinoa, lentils and seeds. Combinations are key to reach your per meal amounts of protein. What are the highest quality proteins? Protein quality is measured in a variety of ways, including biological value, net protein utilization, and the Protein Digestibility Corrected Amino Acids Score (PDCAAS). The highest biological value proteins are eggs, whey protein, and milk. The PDCAAS test is the FDA's preferred method of determining protein quality. A PDCAAS value of 1 is the best possible score. Casein, whey, egg white, and soy protein are all at the top of that category.